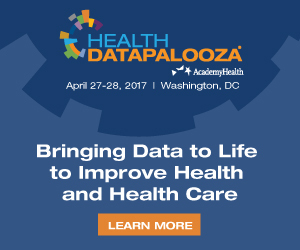 The event requires the use of several open tools and services created under the ONC/PCOR Patient Matching and Algorithm (PMAL) Project. The projects developed at the code-a-thon will uncover underlying gaps and will challenge teams to develop and present concepts that support specific obstacles in Health IT. 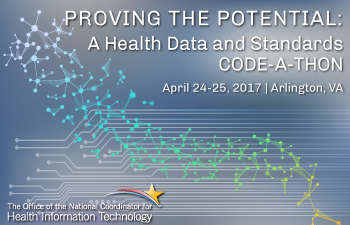 The code-A-Thon also Fulfills the goals of the innovations area of ONC’s Tech lab for coordination and engagement with start-up communities, the administration of challenge contests, and monitors standards and technology innovations on the horizon. 3. I am interested in this event but do not want to be part of the contest, can I still attend? Interested parties who do not wish to be part of the Code-a-thon contest may participate as an “observer” and attend the educational “Office Hours” sessions. The competition will begin at 8am on April 24, 2017 and will end at 12:30pm April 25, 2017 . The event will take place at 1776 Crystal city, 2231 Crystal Dr #1000, Arlington, VA 22202. The challenge website is the best source of information for this challenge and will be updated frequently. Coders, developers, industry experts, academia. Submissions are due no later than 7:00 am on Tuesday, May 25 via the Challenge site and posted to GitHub. (1) First prize winner will receive $ 5,000. There will be up to (6) honorable mention awardees that will receive $500 ea. The scope of this Code-A-Thon is limited to solutions developed on one or more of the required tools and/or services that address one of the 3 identified tracks. 13. What are the required tools and services that I must use in my project? 14. Must all work on the code-a-thon project be started when the Code-A-Thon begins or can we work on the project in advance? Projects can be started in advance as long as they have been posted to the public domain for others potential use.